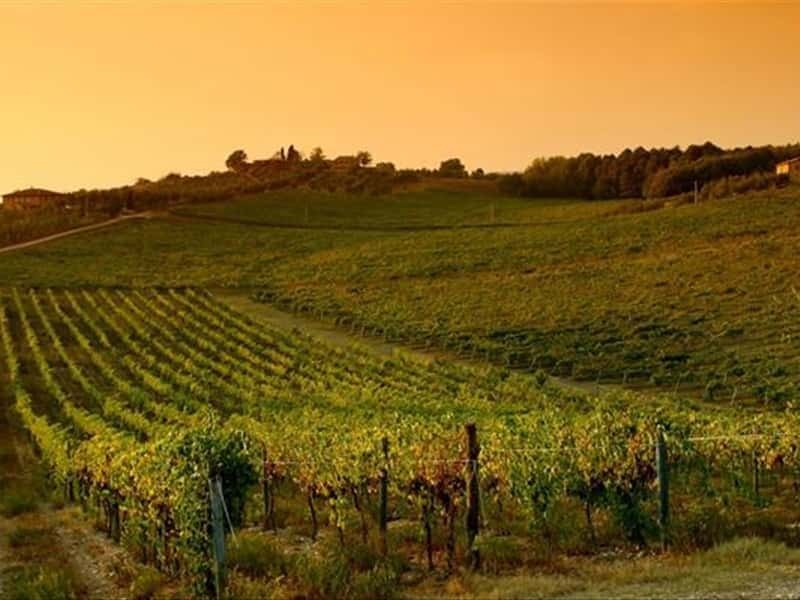 The Chianti district has always been considered the 'heart of Tuscany' and features splendid landscapes packed with vineyards, chestnuts, oaks and holm-oaks, nice medieval towns, romantic castles and fascinating farmhouses. Florence and Siena have always claimed it as their own, as have the numerous medieval towns. Its unifying element is the wine of the same name, the area's most typical product, made mainly from the Sangiovese grape (Chianti and Chianti Classico DOCG). The Chianti district is the ideal place for a journey through spectacular medieval towns, vineyards and its characteristic hilly landscape. Every small town has wine-sellers, castles, farms and the famous black Cockerel brand, the symbol of Chianti par excellence. Visitors should not miss the chance to try the fine wine in one of the many wine stores located against the backdrop of the surrounding hills. The hilly landscape makes it ideal for mountain bike lovers, who can enjoy every last detail of the countryside. This destination web page has been visited 401,615 times.